Browse: Home » Nigerian refugee Tani, 8, becomes chess master in New York! 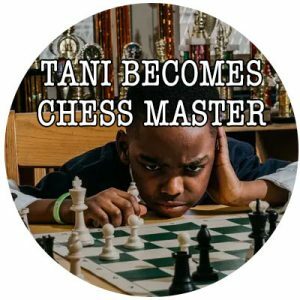 Although Tanitoluwa “Tani” Adewumi is only eight years old, he is already a master of chess. All thanks to hard work and skill. Tani fled with his family from Nigeria in the summer of 2017. Tani’s father Kayode says that they left their homeland in fear of being attacked by the terror group Boko Haram. Since coming to the United States, the family has lived in a homeless shelter in New York. It is there that Tani found a chess board and began to figure out their moves. A person named Shawn Martinez at the P.S 116 school invited Tani to the joint chess program. – Tani is very tactical and his memory is excellent, Martinez says. But it is not just Tani’s tactical thinking and good memory that led to success without hard training as well. – Most children may redeem 50 to 100 parties a week. Tani plays 500 games a week, says Martinez. During an elementary school tournament from across the state, Tani showed that exercise gives skill – when he commenced the title of New York’s chess champion. – We are so happy. Tani has many competitions in the future, says Tani’s father. Tani, who loves to play chess, hopes that someday may call himself the Grandmaster of chess and will get the highest championship title available. Chess is becoming big within betting as well, even in Nigeria. Sites such as Lionsbet regularly offer different chess games to bet on. Using a platform that works both great as a computer version as well as a good Lionsbet mobile version, people all over the country now has the possibility to take part of betting. For Tani to be able to get through with his wish, a fundraising has been started for him. Already in just a few days, $ 190,000 has been collected for Tani and his family. The family has also got a home donated to them so that they can leave the shelter and get their own home. The money from the fundraising the family tells will go to the “Tanitoluwa Adewumi Foundation” – an organization that will help refugees and immigrants.